In South India people living in villages are having a traditional health habit from time immemorial of taking oil bath to improve and keep their good health. It is believed by the people of ancient time that oil is penetrating inside the body through the head, ears and feet, lowering body temperature and assisting an individual to endure the warm climate. But now it has been understood that applied oil dissolves the dusty, oily particles present in the skin pores which cause the body heat and strain the body organs, disorders in brain which in turn creates weaker kavasam (auric field). Later those impurities stuff will be removed by the application of herbal powder and warm water. This phenomena helps to make the skin to remove heat from inside of the body, which acts as a valve, to outside easily. Unfortunately, today’s generation has given up the wise old ways that were handed down to us by our great ancestors, in an attempt to ape the West. Little do they realize that the western habits do not befit our climatic conditions, the hot and humid climate of tropical country causes increased body heat, fatigue of the brain and nerves, tiredness of the limbs. This oil bath practice will tremendously enhance our kavasam (auric shield) which in turn attract positive people and energies towards us and repel negative people and energies away from us. Kavasam is the foremost important energy for a successful life for everyone. 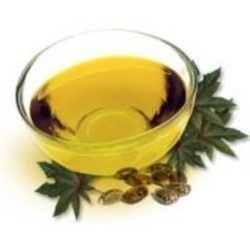 When is the best time to take oil bath ? - Taking oil bath on Saturday best suits the nature of the day influenced so, by Saturn. - In a week Saturday is ideal for oil bath for men and Friday for women. - It is also said oil bath in the afternoon of Friday is good. - One commonality in all these is that Saturn, the ayul kaarakan is ruling Chathurthasi (4th thithi) and Saturday. - Friday is ruled by Indra which also benefits one with longevity. - Generally oil bath can be taken on lunar days – Saturday, Monday, Wednesday and Friday. Must avoid taking on solar days – Sunday, Tuesday and Thursday. So the days chosen for oil bath are those ruled by planets that give long life, to offset the supposed fall in the balance of vital energies of the body.